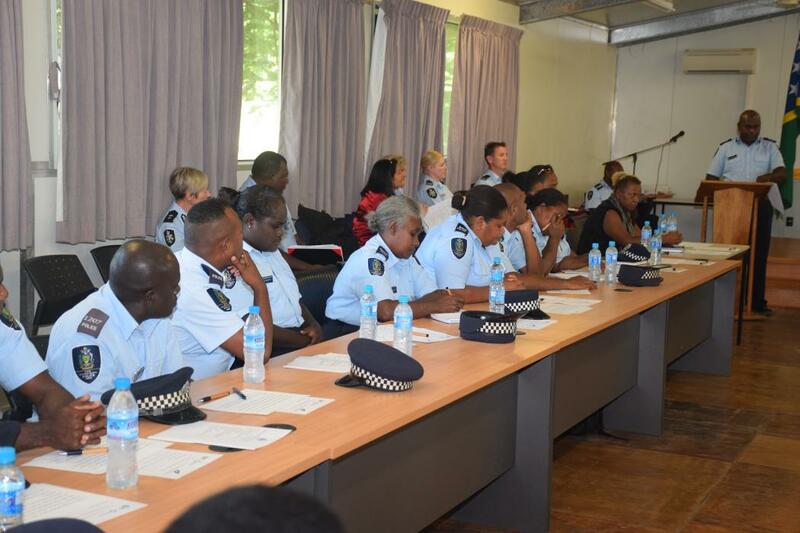 Officers of the Royal Solomon Islands Police Force (RSIPF) and other stakeholders will be able to manage victims of sexual assault better at the end of a one week Sexual Assault Victim Management workshop which opened at the Rove Police Headquarters in Honiara on 14 February 2018. Forty officers of the RSIPF from Honiara and the provinces as well as 25 participants representing other stakeholders are attending the workshop which will end on 17 February. “Management of victims of crime is a special skill that can only be developed over time. It requires patience, understanding, caring and strength to withstand the emotions and trauma experienced by victims,” says Assistant Commissioner Vaevaso.